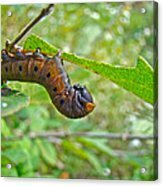 Snowberry Clearwing Hawk Moth Caterpillar - Hemaris Diffinis is a photograph by Mother Nature which was uploaded on January 20th, 2013. 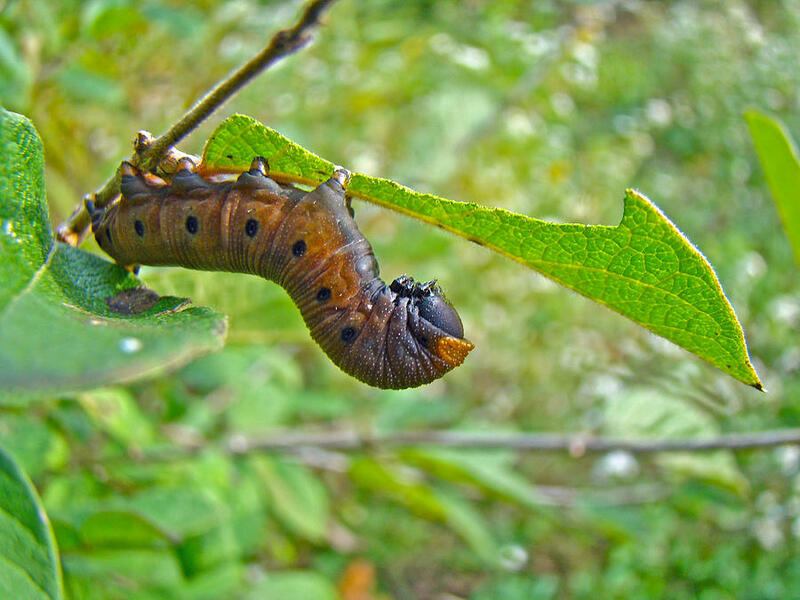 This is a dark phase of this caterpillar. It is more commonly a greenish yellow and some phases are a mix. I never saw this before. 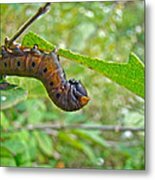 This caterpillar was munching happily on a bush honeysuckle, although they like Dogbane and Snowberry. Hawk moths are also called Sphinx moths or Hummingbird moths; this particular type flies during the day and drinks nectar, so you'll find them feeding at flowers. Their wingspan can be up to 2 inches. I think they look like flying crawfish. There are generally two hatches a year - three in some areas. 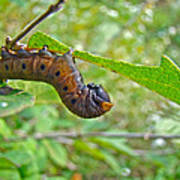 This caterpillar was photographed at Green Lane Reservoir in Red Hill, Pennsylvania, USA, on September 26, 2012. Thanks, Lady:>) I was delighted to find it. Aren't the stubby, little feet charming - the polka dots, too:>). Thank you for liking this guy!